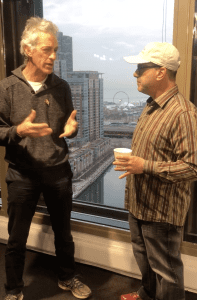 i begin my Steve Dale’s Pet World radio show HERE talking about the fire that killed over 30 dogs in January in West Chicago. That tragedy prompted me to say “enough is enough,” as these fires happen too often around the country. I contacted Marc Ayers, Illinois director of the Humane Society of the United States, with Illinois State Rep. Diane Pappas (D-45th District) created HB 3390 with co-sponsor Allen Skillicorn (R-66th district). This bill mandates kennels and boarding facilities to have smoke alarms that ring directly to first responders, sprinklers or a human being on the premises. If you agree (with the fire fighters) that this bill will save lives and you live in Illinois, please contact your state representative or state senator and say so. I begin speaking HERE on WGN Radio with Carlos Drews executive director of the Jane Goodall Institute about the magic of Jane. What is it about her that touches people SO very much? 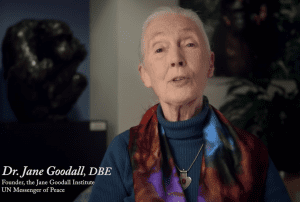 The Jane Goodall Institute isn’t only about helping animals – in particular chimpanzees, but also about helping people. We talk about the Roots and Shoots movement, which offers hope, and provides means to make a difference for over 14,500 young people in all 50 states and around the world. 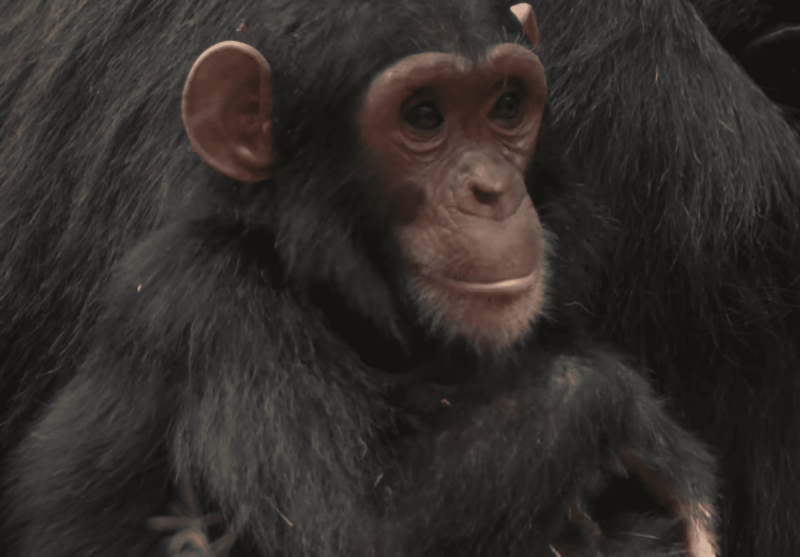 Drews and I also talk about chimpanzees, and their plights in the wild, in labs and even people who try to keep them as pets. He tells the story of how Goodall managed to finally end the use of chimps in labs by our own National Institutes of Heath. We talk about how, as a scientist, at the time it was controversial that Goodall named the chimpanzees. Goodall says that we know through our pets that dogs and cats are individual animals with their own personalities and emotions similar to our own. I learn how Drews got involved in the chimp world – and the story is fascinating, having to do how he was nearly “beat up” by a chimpanzee. We also discuss climate change – and it really and truly is real. Only in America has this become a political issue. Soon on WGN radio, I will air my recorded interview with Dr. Goodall.